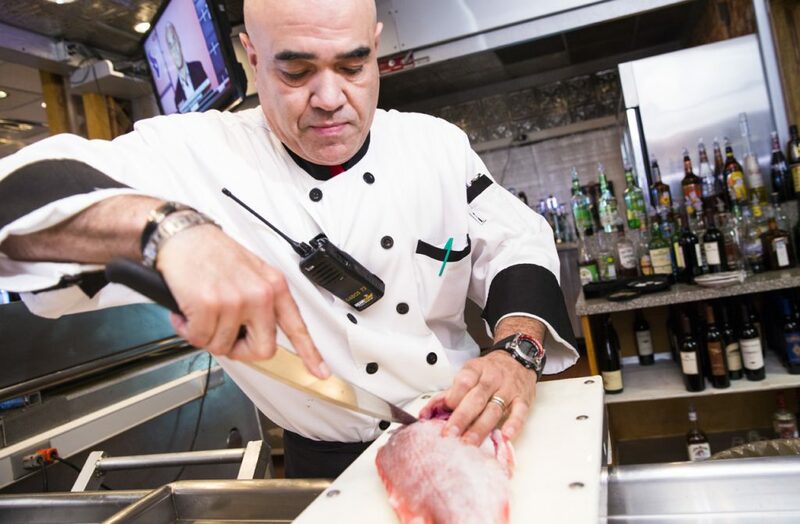 After coming back from the brink, the future of Gulf red snapper is once more in the balance. Proposals in Congress and recent actions by the Trump Administration are undermining years of progress, posing a threat to small businesses throughout the Gulf and to Americans everywhere who love to eat or catch fish. The recovery of red snapper is a remarkable success story we can all be proud of. Years of chronic overfishing had reduced the stock to just 3 percent of healthy levels, but in the last decade, working together, the fishery has started to rebound. Science-based catch limits and reformed commercial management have led to more fish for anglers, better and more stable jobs for coastal small businesses, and more sustainable seafood for Americans to enjoy. The amount of fish that can be sustainably caught each year has grown from 5 million pounds in 2007 to 14 million pounds today. Moreover, the benefits of a healthier fishery are shared, with the total catch divided evenly between the seafood and recreational sectors. But even as the fishery has rebounded and the amount everyone can catch has grown, private anglers continue to fish under a profoundly broken system. This is leading to unsustainable overages even while recreational fishing opportunities have been reduced, angering everyone – especially anglers. As Gulf States have set ever-longer seasons, more than 80 percent of recreational catch is happening in state waters – sharply reducing the number of fish that can be caught in federal waters. Meanwhile, authorities continue to rely on season and bag limits in the private angler fishery rather than exploring new approaches to recreational management, fueling frustration and leading to calls for the weakening of conservation standards. This year, the Trump administration unilaterally extended the recreational fishing season without implementing appropriate safeguards, jeopardizing the health of the fishery. And legislation introduced in Congress, including H.R. 200, H.R. 2023, H.R. 3588 and S. 1520, would weaken conservation standards and repeat the mistakes of the past. Just last week, more than 150 chefs, restaurant owners and seafood dealers, including signatories from all five Gulf States, sent a letter to Congress opposing these bills. These bills would all weaken the Magnuson-Stevens Act, which has enabled the comeback we have seen in the red snapper fishery. The chefs are not alone in advocating for a strong Magnuson-Stevens Act. Share the Gulf member Gary Jarvis, a fisherman and restaurateur from Destin, Florida, penned an op-ed with Florida Restaurant and Lodging Association President, Carol Dover celebrating the Florida fishing and seafood industry and the role MSA has played in making it stronger. In fact, fishermen from Alabama, Mississippi and Texas took the occasion of National Seafood Month to do the same, highlighting the comeback of red snapper and voicing their support for the foundational fisheries law. As leaders in Congress consider these bills, Share the Gulf will be making sure they hear from our members like Haley, Gary and all the other seafood providers, anglers and consumers who want to keep Gulf fishing strong through responsible, science-based conservation. Commercial and recreational fishing are incredibly important to the Gulf’s coastal communities. Each represents tens of thousands of jobs and billions of dollars in economic activity. Proposals being considered by Congress could undermine years of hard work to rebuild the red snapper population and creating dangerous precedent. The recovery of red snapper is a remarkable success story that we can all be proud of and we need to make sure that progress is not reversed. As a chef and business owner you can make a difference in the debate on this issue. That’s why chefs from across the Gulf and the rest of the U.S. are coming together to send a letter to Congress asking for any legislation on fishing include safeguards for conservation, require regulations be based on the best available science and include reasonable deadlines for rebuilding fish populations. Please read the letter and fill out the form below if you would like to add your name and send a message to Congress that we can’t turn back on the progress we have made and that we want solutions that will help conserve fish populations for future generations. More than 150 chefs from across the United States have added their names to this letter, including: Jacques Pepin, Mary Sue Milliken, Rick Moonen, Kerry Heffernan, Michel Nischan, Haley Bittermann, Bun Lai, Eric Rivera, Samuel Spencer, and Eric Lackey. May 2, 2017 – NOAA has just announced that this year’s federal red snapper recreational fishing season will be three days long. The season was 11 days last years and has been consistently decreasing over the last decade. This short federal season is unfair to private recreational anglers and they deserve a management system with more sustainable access to federal waters. However, the factors that led us here are complex and policy makers should also look at decisions made by Gulf States to understand how overfishing occurred in 2016 and why the season has been cut again. In the early 2000’s red snapper were pushed to the brink after decades of overfishing by both recreational and commercial fishermen. Harvest limits had to be drastically cut and commercial fishermen moved into an individual fishing quota system that encouraged conservation and ended the race to fish caused by short seasons. The result has been a remarkable rebuilding of red snapper, allowing commercial fishermen to provide fresh, wild caught red snapper to consumers across the country. In fact, the total annual allotment of red snapper that everyone in the Gulf can catch, including recreational fishermen, has more than doubled over the last nine years. While federal managers have been successful in keeping commercial fishermen at or below their quota for a decade now, inconsistent state and federal recreational seasons have failed anglers and led to regular overharvesting in that sector – including going 25% over the recreational quota in 2016. Last year Texas had its state waters open for red snapper fishing for 365 days with a four fish bag limit, Louisiana 272, Florida 85, Alabama 66 and Mississippi 102. The result is that upwards of 79% of the total Gulf-wide science-based limit of recreational red snapper is now being caught within nine miles. That leaves very little quota for fishing between 9-200 miles. Anglers are the ones that lose quality access to deeper more productive federal waters in this protracted fight between the Gulf States and the federal government. They deserve a better system that gives them the flexibility to fish when and where they choose and that produces more accurate real-time catch records while preventing overfishing. The Gulf of Mexico fishery is a shared national treasure that should be accessible to all Americans whether by boat, grocery store or restaurant. It is time to move past anti-commercial rhetoric and fish grab schemes to real solutions that preserve the balance we all deserve in the Gulf. We encourage policy makers to take a close look at proposals under consideration in the Gulf of Mexico Fishery Management Council to give the states more flexibility to manage their private anglers while still preserving science-based catch limits and the protections given to commercial fishermen under the Magnuson-Stevens Act. Share the Gulf is a coalition of chefs, restaurateurs, restaurant associations, seafood businesses, fishermen, conservationists, local food advocates and regular consumers that want to keep the local Gulf seafood industry fair and strong. Our simple goal is to make sure Gulf seafood continues to be shared fairly and sustainably so that all of us can enjoy it for generations to come. Join the coalition at www.sharethegulf.org. Key West, Florida – Citing the need for management changes in the recreational fishery and overwhelming opposition to reallocation by Gulf residents, the Gulf of Mexico Fishery Management Council voted Thursday to defer action on Amendment 28, a proposal that would take a portion of the red snapper fishery from Gulf seafood providers for the exclusive use of recreational fishing. The Council’s vote means it will defer any further action on Amendment 28 until it has completed work on another proposal, “Amendment 40.” This proposal lays the groundwork for new management options for both private anglers and federally permitted recreational charter operators who provide access to recreational anglers through chartered offshore trips. Amendment 28 in its current form (“Alternative 5”) would take nearly half a million pounds of red snapper out of the commercial seafood market next year alone and shift the majority of future increases to the recreational sector. This is in exchange for adding maybe one day to a nine-day recreational fishing season. Red snapper is a shared fishery and the total allowable catch is already split almost evenly between commercial and recreational fishermen. Unfortunately, despite that even split, anglers are stuck in a failed management system that leads to shorter and shorter seasons every year, frustrating everyone. The Gulf Council has received thousands of comments over the last three months in opposition to Amendment 28. A recent review of those comments by Share the Gulf showed that Gulf residents opposed reallocation by a nearly 3-1 margin. While Amendment 28 has been deferred for now, Share the Gulf and its members will continue to educate Gulf leaders on the downsides of reallocation and work to promote solutions to the failed federal recreational management system. “Reallocation will hurt Gulf seafood providers and consumers while doing nothing to help the recreational fishery,” said Buddy Guindon, a commercial fisherman from Galveston, Texas and Share the Gulf member. “We need the Council to permanently stop work on Amendment 28 and fully focus its efforts on solutions not fish grabs,” said Guindon. Key West, Florida – As the Gulf of Mexico Fishery Management Council resumes consideration of a proposal this week to reallocate red snapper away from consumers, a new review of Council records released today shows that Gulf residents who have submitted written comments on the plan oppose it by a nearly 3-1 margin. While the vast majority of recreational and commercial fishermen believe in sharing the Gulf’s resources, some suggest that the solution is simply to take fish from consumers and reserve more of it for offshore recreational fishing. Share the Gulf and the vast majority of Gulf residents disagree. As of June 20, 2014, the Council received thousands of comments from Gulf residents on the measure. A review done by Share the Gulf of these comments shows that Gulf residents who oppose reallocation far outnumber those who support it, both as a region and in each individual Gulf state. In addition, during a series of public hearings this spring, representatives from the Council heard from an overwhelming number of recreational and commercial fishermen as well as other stakeholders who believe “Amendment 28” should be voted down by the Council. Not only is the public opposed to reallocation, the economic justification for it just isn’t there. Amendment 28 in its current form (“Alternative 5”) would take nearly half a million pounds of red snapper out of the commercial seafood market next year alone and shift the majority of future increases to the recreational sector. This is in exchange for adding maybe one day to a nine-day recreational fishing season. With this proposal, everybody loses. It is not surprising that NMFS scientists and the Council’s own socioeconomic advisors have repeatedly raised concerns about the validity of the economic analysis used to justify reallocation. (Washington, D.C.) The National Restaurant Association has asked the governors in five Gulf States to support their local restaurants in a quest to maintain uncompromised, year-round access to seafood fished in the waters of the Gulf of Mexico. DeFife noted that the Association supports existing catch share allocations for red snapper in the Gulf. The ability to continue to source the fresh, local seafood of the area is essential to the growth of the affected states’ economies and their various foodservice businesses.